MARCH 28--A 'Saturday Night Live' cast member avoided arrest Wednesday night when the passenger in an SUV he was driving claimed ownership of two bags of marijuana New Jersey police found during a search of the vehicle. 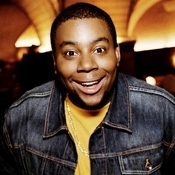 After a citizen complained to cops that a motorist was driving a white Cadillac Escalade erratically, Bernards Township police pulled over the vehicle, which was being driven by comedian Kenan Thompson. The 29-year-old performer debuted on the NBC late-night show in 2003 as a "featured player," and has been a formal cast member since the 2005-6 season. When an officer detected the odor of burnt marijuana in the SUV, he questioned Thompson and passenger Kyle Mosley, to whom the vehicle belonged. At that point, Mosley handed over a cigarette pack containing a partially smoked joint. A subsequent police search recovered two small baggies of marijuana and a pack of rolling papers in Mosley's pockets. The 39-year-old Long Beach, N.Y. resident claimed "sole ownership" of the pot, said Lt. Stephen Elder in an e-mail to TSG. Thompson was charged with careless driving, while Mosley was nabbed for possessing pot and drug paraphernalia. The March 26 traffic stop occurred on South Finley Avenue in Bernards Township, which is about 40 miles west of New York City.